I value the opportunity to speak to you today about the coming elections. Next Wednesday, voting stations will open across South Africa and voters will speak through the ballot box about local government. With your vote, you will tell us what is needed in your community. You will show us whether you are satisfied with your municipality and whether it is serving your needs. Most importantly, you will choose a new leadership in your local and district municipalities; a leadership that will serve you for the next five years. This is an important decision, because local government affects your day to day life. It’s about service delivery at the most basic level. It’s about water, electricity, sanitation, roads, housing, agriculture and development. When your child’s school needs repairs, or when there is no clean water to drink, or when you’re struggling to raise the capital to plant your fields; your first point of contact is with your local councillor. They represent your voice in the municipal council. They are there to assist you to meet your needs. It is thus essential that the councillor you choose is someone honest, available and accessible. Someone who believes in servant leadership. Someone who listens and respects you. They need to be backed by a party you can trust, because every councillor subscribes to the values of their party. So, for instance, when you choose an IFP councillor, you are choosing the IFP’s values of integrity, service, participation, respect and hard work. 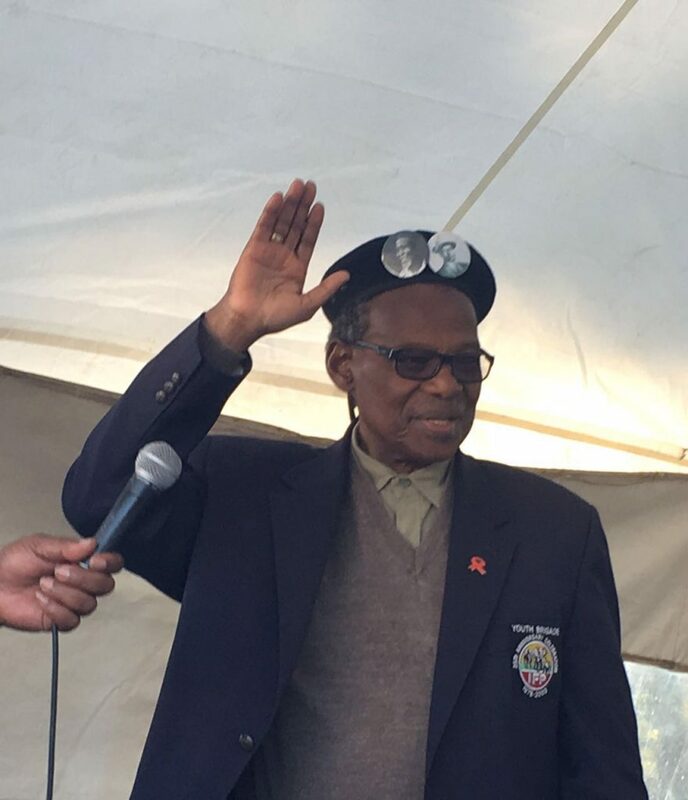 You know what you are getting when you vote IFP. We hold all our councillors accountable, every day, for the full five years of their service. We ensure that they are working for you, listening and making a difference. We don’t believe in giving jobs to people because they’re someone’s brother, or because we owe a political favour. The IFP chooses the right people for the job, so that they will serve you with competence and commitment. All our candidates for these elections have been chosen by their own communities. They are leaders you know and trust. We do this because the IFP believes in lasting partnerships between the people and their representatives in government. We want to see greater participation so that your voice can influence the way things are done in your municipality. There is no one better equipped to decide what you need, than you. Because the IFP believes in governance from the ground up, we empower people to design their own solutions in partnership with local government. In this way, we have seen communities take ownership of development projects and ensured that everyone benefits. You have the right to know what your municipality is planning, what it is doing, and why it isn’t doing what you need it to. Government shouldn’t just come to you at election time. It has a responsibility to interact with you constantly, seeking your mandate. There is a philosophy in the ruling party that once they receive your mandate on election day, they need never ask your opinion again. They will decide what’s right for you. They will tell you what you need and don’t need. And you will just sit there and wait for the next election to roll around in five years’ time to tell them whether you agreed or not. It’s an arrogant way to treat the electorate, and it keeps you at arm’s length from Government. It is hardly surprising then that the divide between the people and Government is growing wider. Leaders seem to have forgotten their people and the daily hardships so many face. Some are lining their pockets, while you go hungry. There is deep distrust of leaders, because we have heard enough scandals and allegations of corruption. We know about tender fraud and tenderpreneurs. We know that resources are wasted and funds are mismanaged. We have heard about the Auditor General’s Reports on Government, and how municipalities across the country are under-performing. Government is simply not responsive. Thus we see protests spring up in every province, because people feel they must shout in the streets and burn something down before their leaders will pay attention. This is tragic, because in the end it is the communities themselves who suffer when property is damaged and infrastructure destroyed. In places where people torched schools and clinics, they must now live with ashes instead of education and healthcare. And still Government is not listening. The time is ripe for a leadership change across South Africa. The coming election may not change the leaders at the top, but it will send a clear message to those leaders that we have had enough of corruption, arrogance and empty promises. On August 3rd, we have the opportunity to restore a leadership of integrity at municipal level. Your vote can fire those who are not working, and hire leaders you can trust. Over the past few months, I have been travelling from place to place bringing a message of hope. When people ask me, “Who can I trust?” I tell them the good news. Even in the midst of failing leaders, there is still a party you can trust. The IFP is still here. We are still serving. And we are stronger now than we were in 2011. 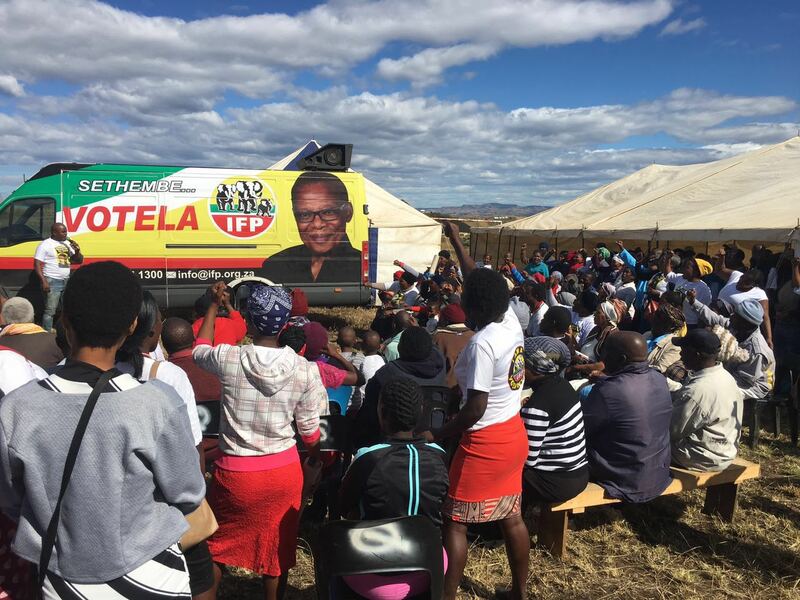 Since the last local government election, the IFP has consolidated support, re-established unity, and restored strength. 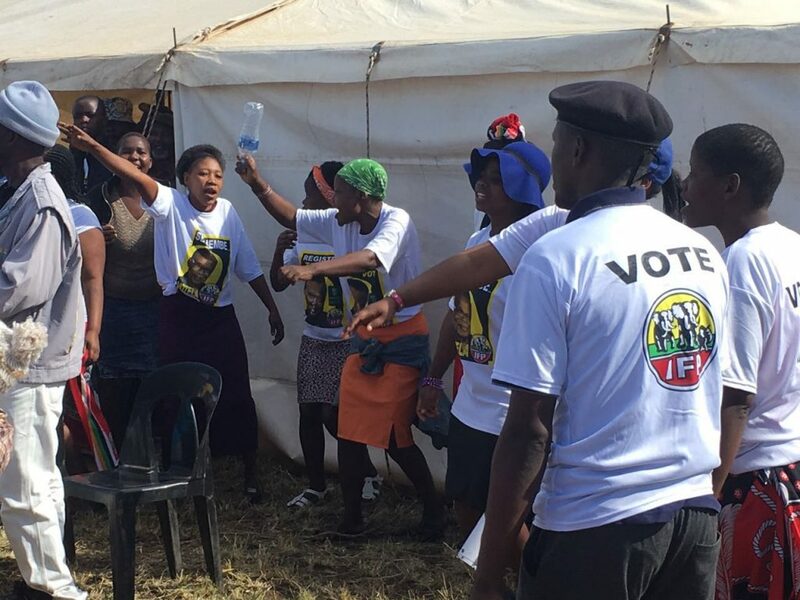 In by-elections since 2011, voters have called on the IFP to return, for people have tested the waters in other parties and they have been disappointed. In five municipalities, voters didn’t wait for 2016 to restore the IFP to power. Through by-elections, they unseated leaders who weren’t fulfilling their promises, and brought in the party they can trust. They brought back the IFP. We have welcomed thousands of members back into the IFP, from various parties, and we have celebrated new members who have found their home in the IFP. 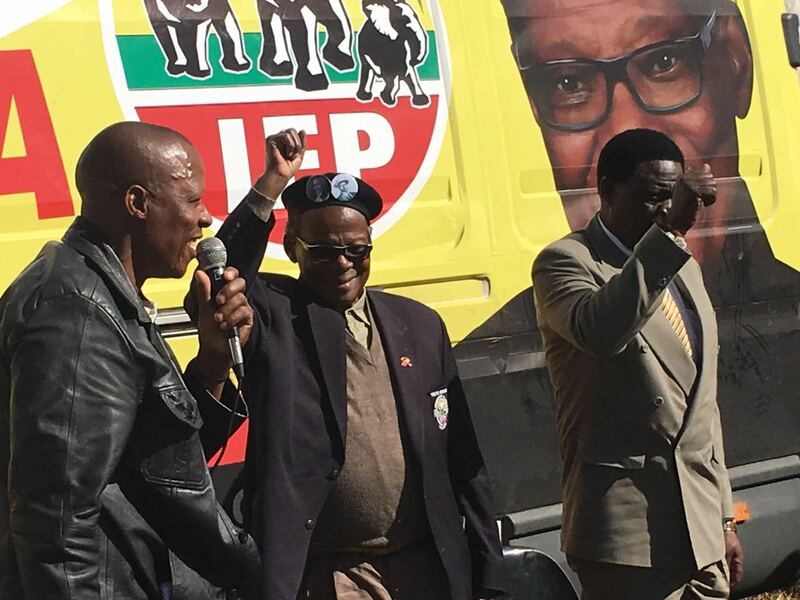 Everyone is saying that the IFP will do well in the coming elections. We have worked hard for the past five years, holding your representatives to account and reminding them of everything they promised to deliver. Wherever the IFP has councillors, we work to keep the municipality’s focus on service delivery and good governance. There is a lot of politicking in local government, and there is fierce competition for positions. We see this with the killing of candidates and the rise of intra-party assassinations. There have even been violent protests over candidates’ lists. 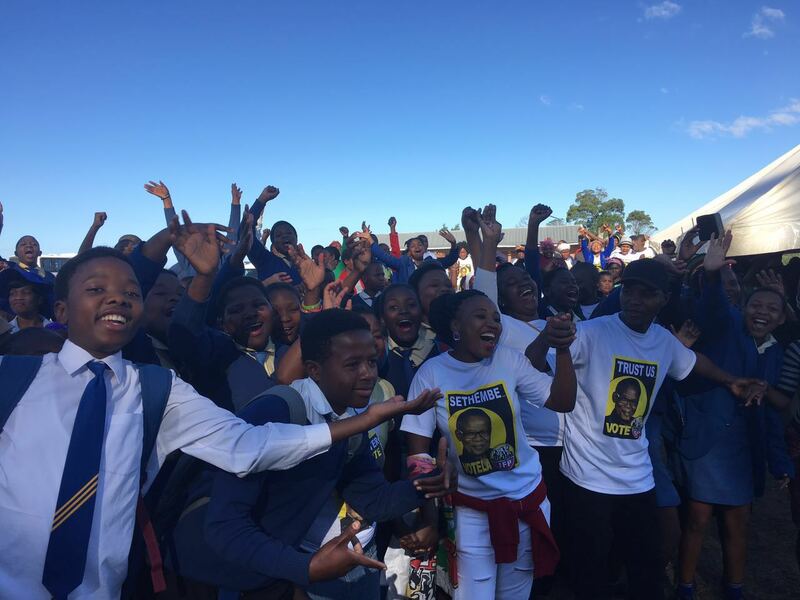 ANC supporters are angry with their own leaders. It is time for service to come before politics. 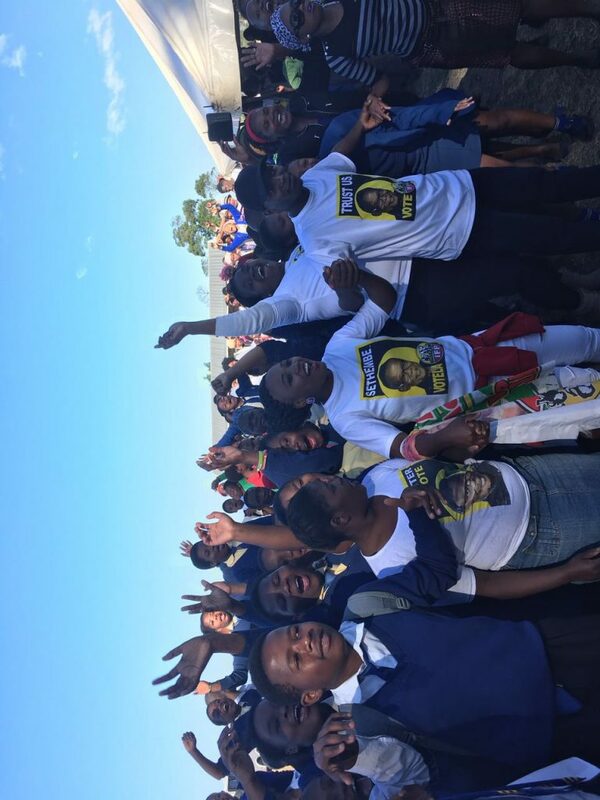 Two of our own members have been assassinated at Emtshezi by people wearing ANC colours. This is most disturbing. And the misfortunes of the NFP in not being allowed to participate in the forthcoming elections have prompted them to accuse the IFP of being the source of their misfortunes. They have already assaulted our members in Okhahlamba and Emtshezi. They have been charged in the Babanango Magistrate’s Court for blocking the road leading to Ulundi from the main road, and also on the road from the direction of where I live, and also burned property belonging to Mr van der Merwe, our member in Nongoma. I have appealed to our members wherever I go not to respond to this provocation from the NFP because if we retaliate the IEC will then forbid any elections to take place where there is any violence. I hope to see the IFP gain in numbers and support on August 3rd, because I know that the IFP can bring a leadership of integrity back to this province. We have a 41 year track record of clean, efficient governance at every level. We have administered government at national level, in this province and in many municipalities. We have vast experience. We know what works and what doesn’t, and we know how to bring solutions to the urgent problems besetting our people. 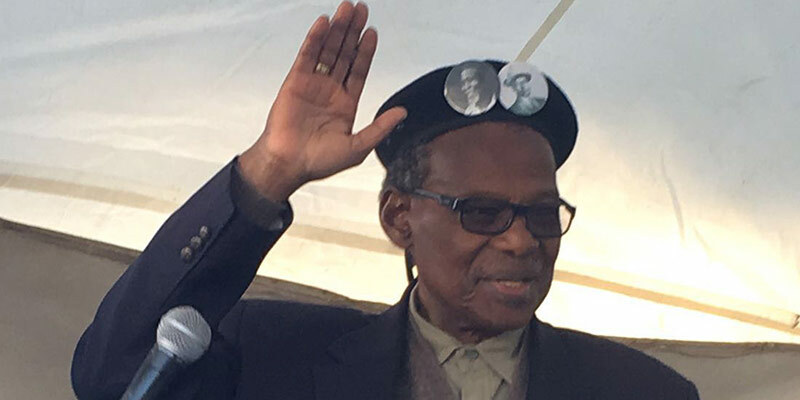 I therefore ask you to support the IFP on August 3rd. Vote for the party you can trust. Restore good governance in your community, because you deserve something better. The IFP is ready to serve, in partnership with you. We are ready to make your voice heard. So vote for honest leaders. Vote IFP!